Imagine one day ‘something’ terrible appears out of nowhere and wiped out almost everybody. No one knows how this ‘something’ spreads or how it kills, much less how to prevent it. One glance and the victim falls into suicidal behaviour instantly, desperately seeking to end life. There is no vaccination, no cure, nor understanding of its transmission. Over time, some survivors learnt to live and avoid the plague. Malorie and her 2 young children need to relocate and reach the community which has promised them safety and food. Can she cross the white water river safely while being blinded-folded? Readers who are seeking adventure and science-fiction fantasy. This kindle editon provides exactly just that. Though the novel tries to be as realistic as possible, it is rather unrealistic to be doing obstacle course while being blind-folded. Or perhaps with years of training, it is possible to do so? For those who are expecting some explainations or visual image of that ‘something’ will be sorely disappointed. Both exciting and daunting to know that something formless and shapeless can cause so much damage to humanity. If this was to be based on true events, it is highly likely human population will be reduced by 80%. I kid you not! A story is about an Andalusian shepherd boy, Santiago who travels from Spain to the Egyptian desert in search of a treasure buried in the Pyramids. Along the way he meets a Gypsy woman, a man who calls himself king, and an alchemist, all points Santiago in the direction of his quest. Nobody knows what the treasure is, or if Santiago will be able to surmount the obstacles, resulting in the discovery of the treasure. Lush, evocative, and deeply humane story that is an eternal testament to the transformative power of our dreams, the importance of listening to our hearts. Readers who are lost in their lives, wandering aimlessly for a goal and a purpose in life. Each day is a fighting chance to strive and achieve for progression and advancement in all areas of life. The reason to fight may be directly for the end result, a cause for celebration and such. Yet a majority fails to see that when we follow our hearts, we may receive things that are much more dazzling and unexpected than what we set out for. That is what this book is trying to share with everyone, and to remind that our dreams are so much greater when we realise it. For those who are in the mood to read something serious and practical, this book is certainly not the right title. Even so, some fiction story delivers good, close to reality examples to be applicable to daily life. 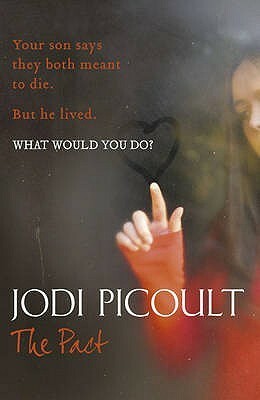 Certainly not this book. Dreams are what motivate us to move and progress in life. The importance of fulfiling dreams may seem neither realistic nor practical. Only by realising it, dreams may yield so much more than we initially imagined. This is book 1 of the series of The Secrets of the Immortal Nicholas Flamel. Nicholas Flamel was born in Paris on 28 September 1330. Nearly seven hundred years later, he is acknowledged as the greatest Alchemyst of his day. It is said that he discovered the secret of eternal life. The records show that he died in 1418. But his tomb is empty and Nicholas Flamel lives. The secret of eternal life is hidden within the book he protects – the Book of Abraham the Mage. It’s the most powerful book that has ever existed. In the wrong hands, it will destroy the world. And that’s exactly what Dr. John Dee plans to do when he steals it. Humankind won’t know what’s happening until it’s too late. And if the prophecy is right, Sophie and Josh Newman are the only ones with the power to save the world as we know it. Sometimes legends are true. And Sophie and Josh Newman are about to find themselves in the middle of the greatest legend of all time. A good fantasy story with a modern setting. Great for casual fiction reading. ‘Animal Farm’ penned down by Eric Arthur Blair under the pen name George Orwell. It might have derived its source from the events leading up to the 1917 Russian Revolution. The author has channelized his thoughts via making allegorically use of animals, which proves to be highly effective on the reader, makes us see what is unseen to our eyes. The story summaries when given a chance to a country after getting independence to rebuild its constitution and its future, it is in the leaders’ intentions as well as the followers’ which will decide where the county will go. Animal Farm is suitable for readers who are keen in politics. It is an introductory short story that depicts from the start of a revolution, to the final stage of tyranny state. There are many similarities drawn from history, and present paradigms as well. Not to mention, the animal responses are exactly the same as how citizens react in the actual world. Most likely this book is not suitable for readers who are looking for indept discussion of politics or governance structures. Likewise it is also not suitable for those who are not comfortable reading about talking animals who live their lives just like humans. During every election, it is very unlikely to know which party is corrupted or not. Only when the party is in power, the true colour reveals. Not all is lost. There are still good leaders who will serve truthfully and altruistically. Eric Arthur Blair (25 June 1903 – 21 January 1950), better known by his pen name George Orwell, was an English novelist, essayist, journalist and critic whose work is marked by lucid prose, awareness of social injustice, opposition to totalitarianism and outspoken support of democratic socialism. Orwell wrote literary criticism, poetry, fiction and polemical journalism. He is best known for the allegorical novella Animal Farm (1945) and the dystopian novel Nineteen Eighty-Four (1949). His non-fiction works, including The Road to Wigan Pier (1937), documenting his experience of working class life in the north of England; and Homage to Catalonia (1938), an account of his experiences in the Spanish Civil War, are widely acclaimed as are his essays on politics, literature, language and culture. In 2008, The Times ranked him second on a list of “The 50 greatest British writers since 1945”. Orwell’s work continues to influence popular and political culture and the term “Orwellian“—descriptive of totalitarian or authoritarian social practices—has entered the language together with many of his neologisms, including “Big Brother“, “Thought Police“, “Room 101“, “memory hole“, “newspeak“, “doublethink“, “proles“, “unperson” and “thoughtcrime“. To initiate a book swap, comment on the page below. Remember to share the page to reach out to more swappers! For 18 years the Hartes and the Golds have lived next door to each other. Parents and children alike are best friends so it comes as no surprise that in high school Chris and Emily’s friendship blossoms into something more. But one night a call comes from the hospital – Emily has been shot dead. In Have a Little Faith, Mitch Albom offers a beautifully written story of a remarkable eight-year journey between two worlds–two men, two faiths, two communities–that will inspire readers everywhere. 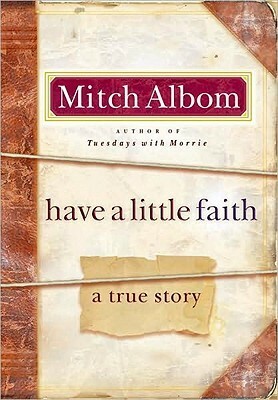 Albom’s first nonfiction book since Tuesdays with Morrie, Have a Little Faith begins with an unusual request: an eighty-two-year-old rabbi from Albom’s old hometown asks him to deliver his eulogy. Feeling unworthy, Albom insists on understanding the man better, which throws him back into a world of faith he’d left years ago. Meanwhile, closer to his current home, Albom becomes involved with a Detroit pastor–a reformed drug dealer and convict–who preaches to the poor and homeless in a decaying church with a hole in its roof. As America struggles with hard times and people turn more to their beliefs, Albom and the two men of God explore issues that perplex modern man: how to endure when difficult things happen; what heaven is; intermarriage; forgiveness; doubting God; and the importance of faith in trying times. Although the texts, prayers, and histories are different, Albom begins to recognize a striking unity between the two worlds–and indeed, between beliefs everywhere. In the end, as the rabbi nears death and a harsh winter threatens the pastor’s wobbly church, Albom sadly fulfills the rabbi’s last request and writes the eulogy. And he finally understands what both men had been teaching all along: the profound comfort of believing in something bigger than yourself. Have a Little Faith is a book about a life’s purpose; about losing belief and finding it again; about the divine spark inside us all. It is one man’s journey, but it is everyone’s story. 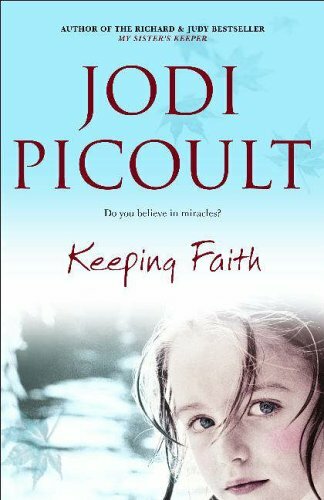 One of America’s most powerful and thought-provoking novelists, New York Times bestselling author Jodi Picoult brilliantly examines belief, miracles, and the complex core of family. When the marriage of Mariah White and her cheating husband, Colin, turns ugly and disintegrates, their seven-year-old daughter, Faith, is there to witness it all. 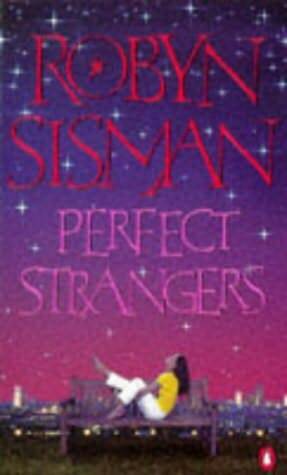 In the aftermath of a rapid divorce, Mariah falls into a deep depression — and suddenly Faith, a child with no religious background whatsoever, hears divine voices, starts reciting biblical passages, and develops stigmata. And when the miraculous healings begin, mother and daughter are thrust into the volatile center of controversy and into the heat of a custody battle — trapped in a mad media circus that threatens what little stability the family has left.